There is nothing about this Prim Whale Pull Toy that I don’t love. All the little bits and pieces that have become its creation DNA have their own story. 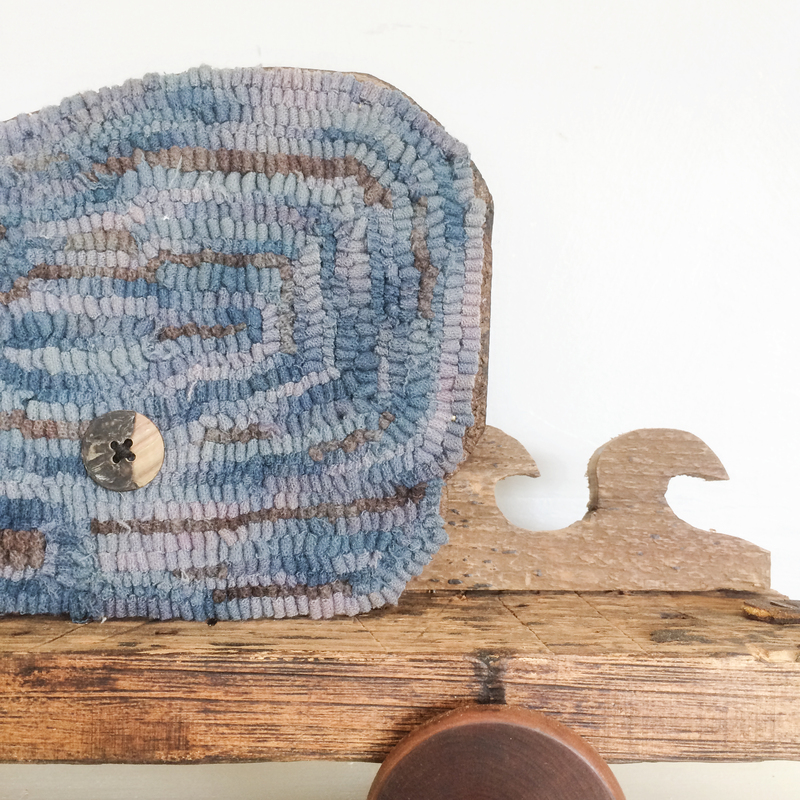 I discovered the wool at a local fiber studio located in a one room school house that made me green with envy. The button that became the most perfect all seeing eye has been in my stash for years. I was always certain that one fine day this one lonely button would find its purpose, and it certainly finally did. 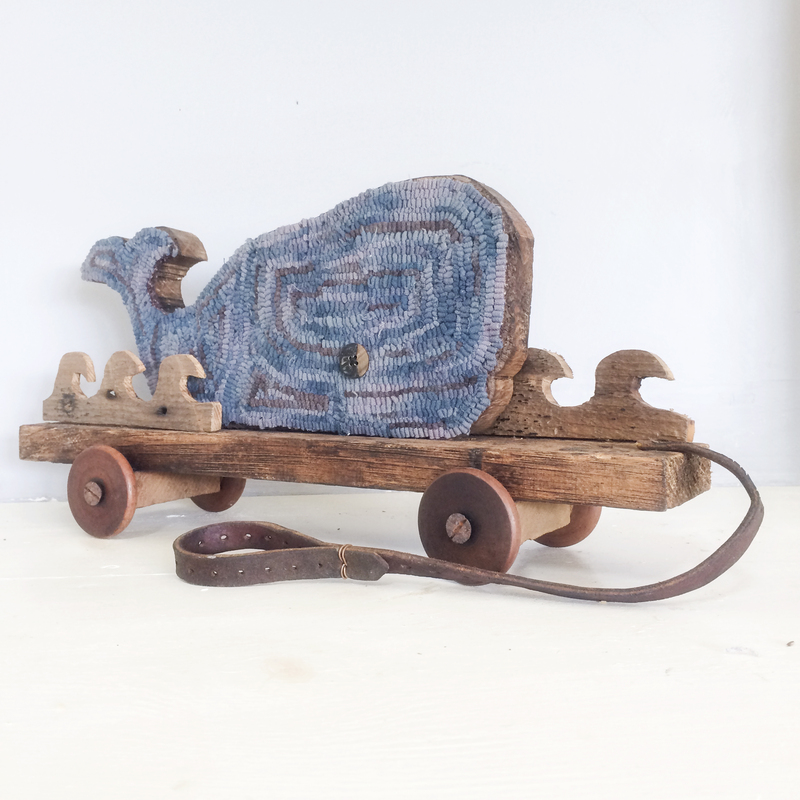 The wheels are made from antique spools. I especially always love a project that Dave and I work on together and we had great fun putting our heads together to figure mechanics, design, and materials. We rummaged through our growing debris pile as we made repairs to our old farmhouse to salvage the perfect rustic wood to give form and function. What I may love most about this fella is his sly smile. Wood salvaged from doing repairs to our old farmhouse provided structure. We usually keep a healthy stash of small bits of old leather around. You never know when it will come in handy to gussy up a pull toy. 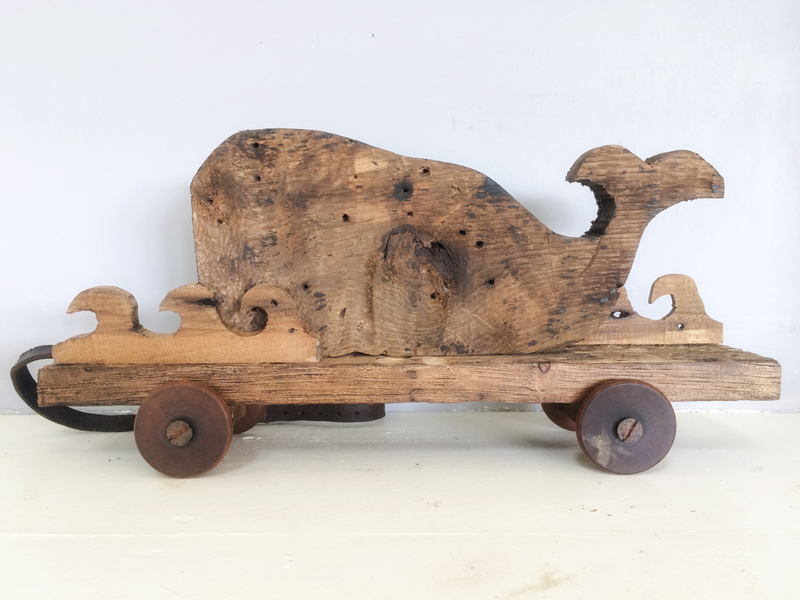 The Prim Whale Pull Toy is available in my shop.